"One of the hardest things for investors to do is soak in a lot of information but NOT take action. Next hardest is to act on the processes you have set up based on the information that develops over time." 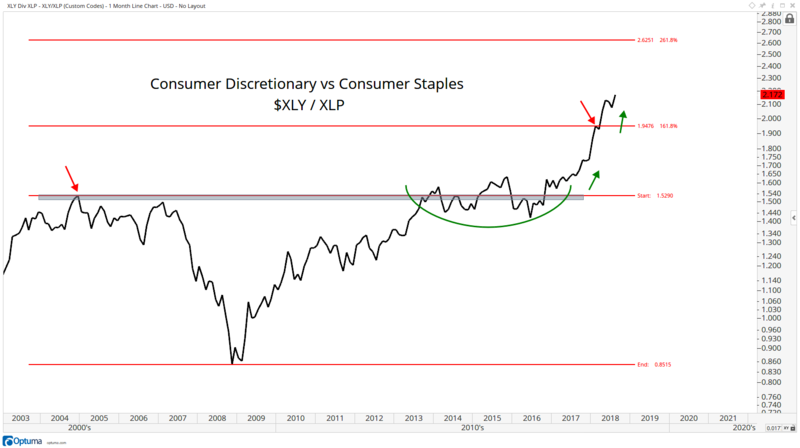 Consumer discretionary stocks have outperformed consumer staples since 2008.